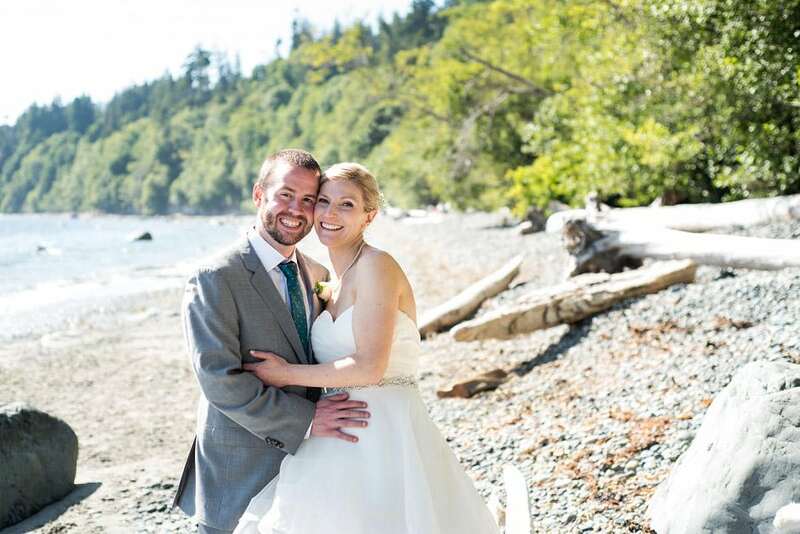 Lucy and Mike came from Edmonton to get married at Craidelonna Oceanedge Lodging, just outside of Sooke. I had never been to this venue before, but it’s seriously gorgeous. What an amazing place to spend a visit to Victoria, and celebrate with so many guests from out of town (and province). Lucy and Mike are fans of candid photos, and they certainly provided some great moments for me and Nicole to capture. I thought it was really sweet how emotional Mike was getting, but by the end of the toasts, I think the entire building was in tears. Lucy had a little trouble with her playlist, but the guests were happy to dance to that same Rod Stewart song at least three times. This was such a fun crowd and Lucy and Mike were really sweet. I’ll just let the photos show you how.